When Albert Yang portrays figures from Chinese history on stage, he pours all of his energy into researching the characters. Their personalities, their life stories, the skills they were known for, the poems they wrote—Yang would learn these by heart, “because the poems have their own messages inside,” he said. As a lead dancer for the Shen Yun Performing Arts company, Yang, 22, has trained to portray the characters’ complex inner psyches solely through movement, body language, and facial expressions. Tragic heroes, courageous generals, and wistful poets—Yang learned to embody their spirit after joining the U.S.-based performing arts company that seeks to revive traditional Chinese culture through music and dance. Shen Yun, established in 2006, consists of five companies, each with its own orchestra, that tour the world with a new original production every year. 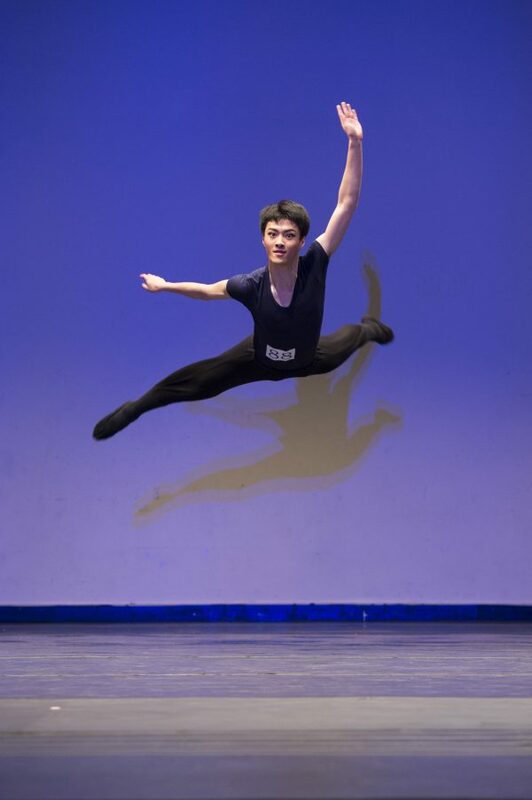 In 2009, Yang was selected to dance in practicum and since has performed around the world in Shen Yun’s productions. It wasn’t an easy road to the stage. In 2004, Yang saw a classical Chinese dance performance in Canada and became inspired by the dancers’ graceful movements. He began training in the dance, an ancient art form passed down through the Chinese imperial court and thousands of years of Chinese theater and opera. The training was an extremely difficult process, but Yang didn’t give up. 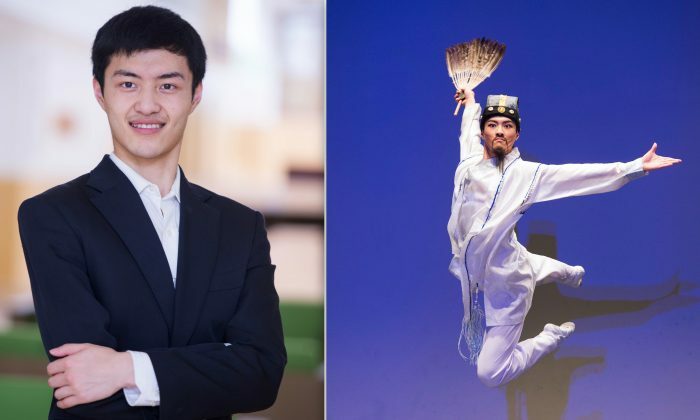 In 2009, when he first joined Shen Yun, he witnessed the determination and level of self-discipline of the company’s top dancers and learned more about the meaning of perseverance. Every day, Yang would spend up to 10 hours on basic training and rehearsal material, then practice more on his own. “Classical Chinese dance has very strict standards,” Yang explained. Everything from the head position to how to use bodily strength and the expression of emotion through gestures requires vigorous training. On some days, he would start at 9:30 in the morning and go on until 11:30 at night. Being flat-footed meant it was painful for Yang to stand for long periods of time. Performing spins was also more strenuous. Yang conditioned his mind to overlook the pain, to overcome his physical weaknesses. Through years of relentless training, he mastered the ability to control every muscle in his body. His tumbles, flips, and dramatic leaps look effortless. Dance has also taught him to better appreciate music and nature. There is a movement in classical Chinese dance, for example, called “a swallow flies upward and picks up mud” that mimics the bird’s movements in the air when preparing a nest. But to perform with an ability to resonate with the audience takes another whole level of artistic expression. 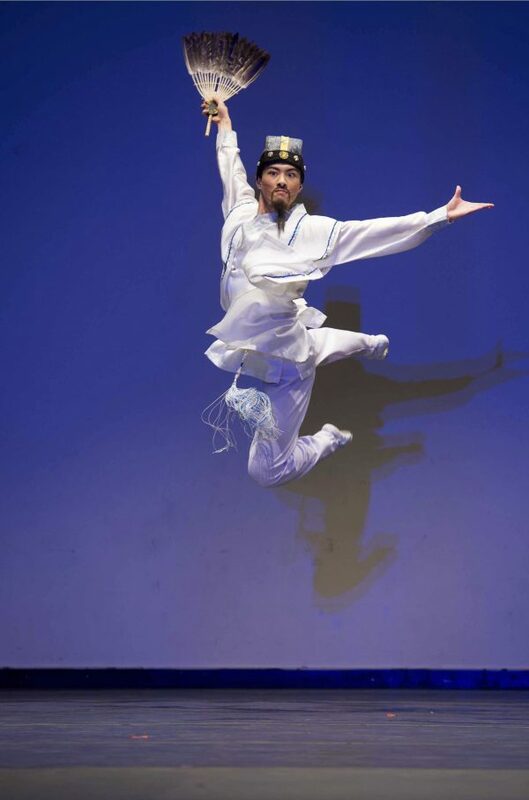 Touring with Shen Yun taught Yang the meaning of his craft. “Dancing not only became a presentation on stage of traditional art,” he said. “It’s more about reviving what truly is human, and what beauty truly is.” Shen Yun’s programs present aesthetics and values rooted in spirituality, untouched by the excesses of modern society. Having grown up in Canada, Yang did not know about the rich traditions of his Chinese heritage, nor did he understand how the Chinese Communist Party destroyed much of that culture in China through campaigns like the Cultural Revolution that occurred in the 1960s and 1970s. For the 2016 International Classical Chinese Dance Competition hosted by New Tang Dynasty Television in New York, Yang performed a piece as Qu Yuan, the ancient Chinese poet and minister who was maligned by his political enemies and subsequently banished from court. He remained loyal to his king until his death. Yang won the bronze prize for the adult division for his performance. Becoming a great artist also takes strength of character. First, one must have the humility to accept others’ criticisms wholeheartedly, so that one can constantly improve and perfect oneself. At Shen Yun, dance instructors and fellow dancers often give each other feedback: this move can be performed better, that move seemed off. One must also have “a desire to share what you have, your experiences,” said Yang. “You have to be unselfish.” Shen Yun dancers teach each other when they’re stuck and work through conflicts together. Yang attributes the company’s impeccable synchronization on stage to every dancer’s sincere support for each other. He hopes he can continue dancing for a long time. “You’re never too old,” he said, “[as long as] you maintain your heart,” your passion for the art. Zelensky’s rise to the presidency reflects widespread dissatisfaction with Ukraine’s political class. Don’t Get Between An Animal and Food!